I honestly don't think I have original cans handy, I've never had an issue before but my previous garage isn't around. What are my options? Tomzo47 This post is not being displayed . arnt retests in the same place free of charge with 2 days? Is the bike obscenely noisy? If it isn't, and it's just a bit on the loud side, then you probably should look for another tester in the future. That one sounds a bit picky. Those are strange things to fail on. The MOT tester I've used has a small box of reflectors that he'll stick on if you don't have one. He charges you £1 if you need one. With the headlight alignment he'll adjust it but charge you a couple quid to adjust it. You need a 99p red reflector and a friendly tester who's going deaf in his old age. Yeah, it's all easy to fix but I guess they've got nothing better to do so this just makes the day go by. I wouldn't say so, you might be right though. So garage you don't know fails you on things they should fail you on? Way too many VOSA secret shoppers visiting MOT stations these days, I know one MOT place that got done for failure to check headlight alignment with a rider on the bike, they checked standing next to it. Once took an old CD175 for an MOT for a mate. Test took all of 5 minutes, didn't even start it! Probably though it would be a pain to start and not worth the bother (he was right). Same place SHOULD have failed me on a reflector but said he wouldn't bother as it was petty. Told me just to buy one on the way home. Try finding an MOT station that doesn't do any work, just tests. They have to offer a free retest within 10 days anyway so they want it to pass as much as you do. I should have pointed out I have no issue with correcting mechanical issues. I've just been on the phone to a chap down the road who does MOTs, I didn't realise it's opinion and not done on DB meter. The problem is they never do motorbike work only cars, vans and taxis and other classes that aren't bikes. Lucky for me testers have failed me on reflector but then given me one for free there and then, stuck it on and then passed it. Garage I use only do car work, not bikes, but MOT both, so there's no mileage in them hunting for fake things to fail bikes on when I take them. If they used a Db meter in the same as they do at race tracks (which would be the only reasonable way) it would be placed behind the exhaust , so it will get the full volume. Back OT, the problem seems to be the new RfR categories - I'm slightly speculating as I haven't had cause to question a noisy pipe since the new regs came in, but on the old system, you had the option to pass and advise, now it seems to be a major or nothing. Sickpup is right, the DVSA have made no secret of the fact that they are going mystery shopper mad, so maybe they saw an unknown customer and made an example of you, or maybe the test station is already on a warning and didn't want to take a chance. It's starting to look like the days of the 'lenient' tester might be numbered. You do not need to start a bike for an MOT. I was always under the impression that you did...and looking at the latest MOT guide at https://www.mot-testing.service.gov.uk/documents/manuals/class12/ you certainly do now. If possible, you should assess the exhaust noise by revving the engine to approximately half the maximum engine speed. The engine should be warm before you carry out this check. It isn't possible to rev the engine on twist and go type motorcycles. The exhaust system and silencer should be in such condition, or of such a type, that the noise emitted from the motorcycle isn't clearly unreasonably above the level expected from a similar motorcycle with a standard silencer in average condition. Where does it say that you have to start the bike? I suppose it depends on how you interpret the parts where it says "If possible, you should assess the exhaust noise by revving the engine to approximately half the maximum engine speed." and "It isn't possible to rev the engine on twist and go type motorcycles." Although...when mine have been tested previously, the tester runs the engine while turning the bars left-to-right to make sure the throttle cable isn't stretching on full lock. 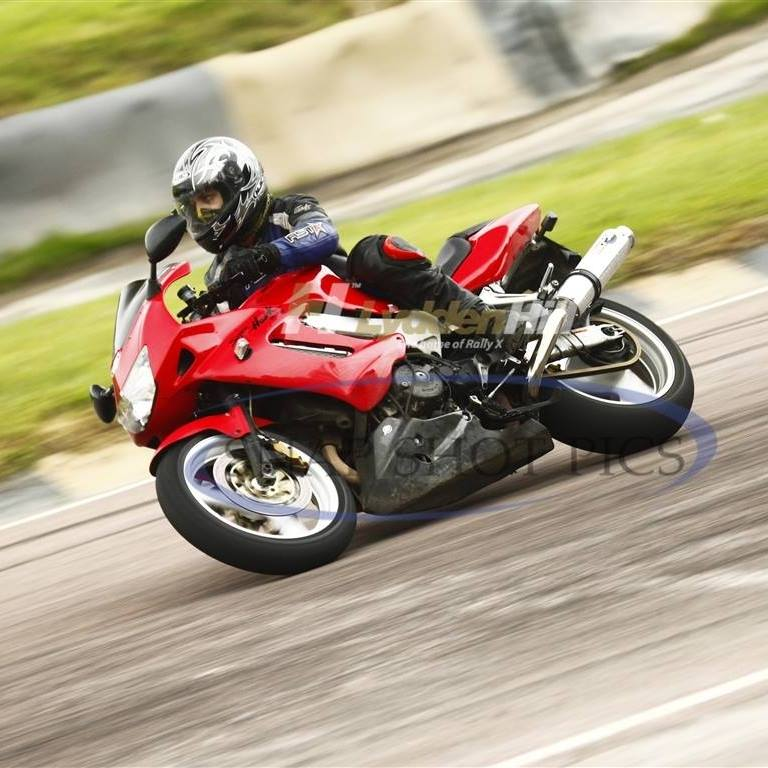 Be me 2 years ago at lydden hill on the vtr.. empty cans.. vtwin.. sounded like utter death! tester "rev it to 6000 rpm"
me: *slowly climbs to 4000rpm"
me: *slowly rev to 3000rpm"
The main issue you have now is that the fails are recorded for all to see and so need to be sorted. "If possible"? Not sure it's a definite. My bikes certainly never get started during MOT's. We just wheel them in and out of the test area. Yeah, it's a bit of a grey area...like I wrote in my reply to Ste, it could depend on how you or the MOT tester interpret it.